Hostel Josef D'Angelo v Palermo, Itálie: Zarezervujte nyní! Thanks to its position, you will have the chance to visit the beautiful monuments situated only a few minutes walking from the B&B (the Cathedral, piazza Pretoria, la Martorana church, Politeama and Massimo's theatres, the ancirn della vucciria's market and ballaro). Using own car, buses or shuttle service provided by the B&B you will easily reach the harbour, the airport and the seaside. 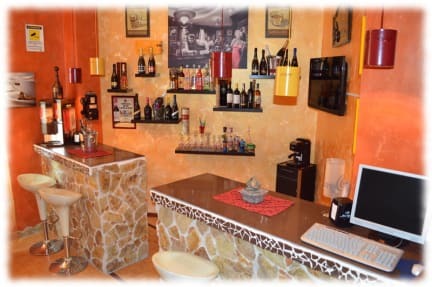 At Property Property Hostel Josef you will be welcomed with the warm hospitality of a real Italian family. Rooms are comfortable and luminous. Each room has air conditioning, TV, and is decorated in specific style and color. A perfect melt of tradition and comfort in a warm atmosphere perfectly combined with the history of the place. Rate includes breakfast, water gas and electric power consumption, bed sheets and towels with change and final cleaning of the room. Every room has the conditioner system, roof fan, color TV, balcony or window. There is also a room where breakfast is served. Airport shuttle (Falcone-Borsellino Airport) or harbor shuttle service with an additional rate. 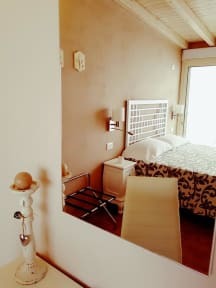 Near of our B&B we can suggest you many restaurants and typical trattorie, some of them with special prices for our guests, where you can taste the best of Sicilian traditional kitchen.